JackRabbit Systems&apos; expansive product suite has the options you want to customize the tools you already have. Want to learn more about our add-on engines and features? Schedule a demo with your Account Manager today! Teaser Widget: Attract attention to special rates and promotional periods on a one-time or recurring basis. Custom Lodging Engine: Create an additional lodging engine feature subset of your current properties or a new, custom list. Hotel Special Offers & Packages Engine: Publish deals and packages offered by your lodging partners to showcase corporate packages or special rates for an upcoming event or promotion. Flights Engine: Display Skyscanner&apos;s results page so visitors can find flights to your destination and book direct with participating airlines. Activities Engine: Promote your destination&apos;s attractions and activities with ticket pricing and direct booking opportunities. Restaurants Engine: Partner with OpenTable to display your destination&apos;s restaurant menus and price ranges, with the option to make a reservation. 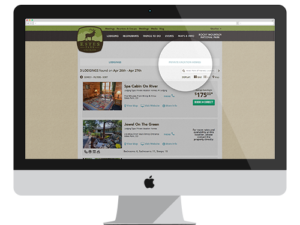 Reviews: Show TrustYou&apos;s aggregated reviews in lodging directories and keep visitors on-site. Custom Interstitial: Customize the interstitial between the results page and your partner&apos;s websites to promote upcoming events, community promotions, and visitor guide sign-ups.